Pakistan has refused to give the names of two British citizens sentenced to death for drug offences. British diplomatic efforts to identify them have so far been in vain. 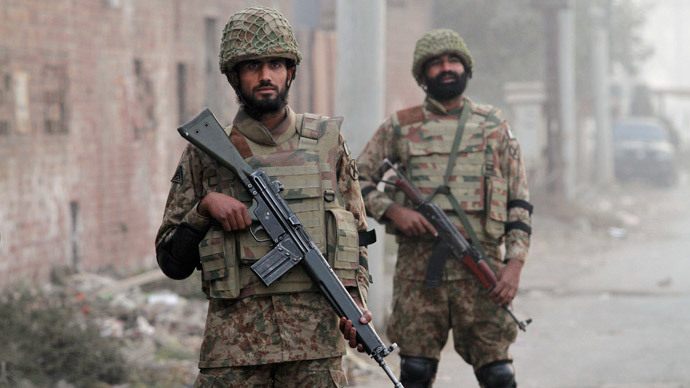 The issue has put the UK’s foreign aid to Pakistan under scrutiny. The violation of diplomatic protocol means Pakistan could be in danger of breaching the Vienna Convention on Consular Relations, which stipulates that officials are obliged to tell British authorities if a British citizen has been arrested. The revelations were made by Foreign Office minister Tobias Ellwood, who told anti-death penalty group Reprieve that authorities were unable to identify the detainees. There are currently 21 British nationals facing the death penalty in Pakistan who are appealing their sentences. They are all receiving consular assistance. But sources from the Foreign and Commonwealth Office (FCO) confirmed there were two further Britons sentenced to death whose identities remain unknown. Pakistan reversed its decision to ban executions following the attack on a school in which 130 people, mostly children, were killed. Executions resumed in large numbers, with roughly 8,300 people now on death row. Ellwood said gaining information about the unidentified British citizens was a “challenge,” claiming Pakistan were refusing to comply with international regulations. The British government would expect to be informed when a citizen faces the death penalty, Ellwood said. The British government currently gives Pakistan hundreds of millions of pounds in aid. The incident raises questions over whether aid money has given the UK any influence. Last year, Pakistan was the biggest recipient of Britain’s international aid, receiving £338 million to help police counter the drugs trade. The country is awarded aid based on the success of its counter-narcotics program. But with a conviction rate of 92 percent and a self-confirmed “thirst” for arrests, critics believe British aid is not being used effectively and claim the system is corrupt. Maya Foa, director of the death penalty team at Reprieve, said British aid for counter-narcotics programs is “hypocritical and untenable” while the death penalty is in force. “The British government should change its position immediately and ensure that its counter-narcotics aid is strictly conditional on an end to the death penalty for drug offences,” she said.